Got bees? Call us today and we can get them out. We are professional, and we have the experience. 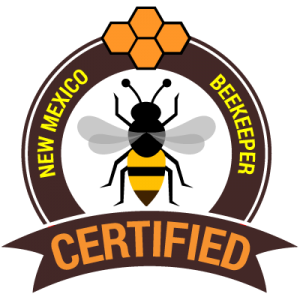 We remove bees in Albuquerque and surrounding areas. Why choose removal over extermination? Have you seen lots of bee activity in one area? Have you been seeing bees going in and out of a small hole in a wall, or are they going into your parapet from your canale? This is a much different situation than a swarm. This type of activity usually means that a swarm of bees has decided to make a home in your structure. If it is a new infestation then they may not have very much established comb inside the hive, but if it has been there for some time then they can have large stores of honey inside the wall along with tens of thousands of bees that are working in the hive. The amount of activity that you see on the outside of a hive is a little deceiving. You are typically only seeing a small percentage of the number of bees that are actually in a hive. A typical hive is usually between 10-70 thousand bees, and you may only see a few hundred worker bees going in and out while you are watching them. Being told that you have these many bees inside your wall can be very troubling. However, this is not uncommon to find. The longer that the hive is left in this unwanted location the larger the hive will become, and they will have larger honey stores. One of the first things you may think to do when you discover a hive in your structure is to have them chemically exterminated. Sure, this process may be a little cheaper up front, and it is certainly less invasive, but all they do is kill the bees with extremely harmful chemicals. When this is done the dead bees will be left to rot inside the wall or wherever they may be located. The smell of dead bees can be very strong for a period of time which can attract other “critters” that feed on the dead bees as well as rob the honey that is still in the wall. The other critters that you may see come to rob the hive can be: other bees from the neighborhood, mice, rats, cockroaches, yellowjackets, and ants. Not only will you get further infestation from these animals the honey that is left in the structure will not be cooled by the bees any longer, and the wax can get soft and fall from where it is anchored to the wall of the structure. This will cause the honey to seep out and can cause serious damage to drywall, paint, flooring, or wherever it may end up. Chemical extermination also harms other bees that may come to rob the honey. They can take the poison back to their hive causing harm to their hive possibly even causing their demise as well. This is not good because they may be a beekeepers hive. This puts hives up to two miles from you at risk. The best way to get rid of an unwanted hive is to have it removed by a beekeeper. The removal process begins with an initial consultation and inspection of the hive’s location. This is a free consultation so we can assess the size of the hive, the location of the hive, and what steps will need to take to remove the hive with as little damage as possible. The removal will often require a portion of the wall be cut open, the inside of a parapet be cut out, or sometimes the easiest way to get to them is through an interior ceiling. We will determine the easiest, least invasive way to get to the hive for removal on our initial inspection. After this inspection, we will set a follow-up date in the near future to remove the hive. The actual removal process is typically a 2-3 step process. The first stage of removal we will come out, cut open the location, do a live removal of the honeybees, cut out their comb, and take the comb and the bees to a new location. As we are doing the removal there are inevitably some bees that we do not get during the initial removal. This is why we will come back a second time, usually that night or the following evening. This will allow any straggler bees that we missed to gather at the old hive location. With the queen and the hive gone the bees don’t really know what to do so they just ball up at the old hive location. This makes it easy to vacuum up the remaining bees that were missed. If this needs to be repeated it will be until the bees are gone. At this stage, we will give you instructions on how to keep the situation from happening again. We can also go around your home or structure and point out any other locations that can be potential targets for reinfestation. Once your home has been marked by the scent of a hive it is a prime location for another swarm to move into. I mentioned earlier, extermination may be cheaper up front, but you will have all the other problems to deal with, along with an almost guaranteed re-infestation within the next few years. Then you will be paying to have them removed again. Our process gets it done right the first time. We have done hundreds of these removals, and we aren’t done until the bees are gone. Please call us today to get your free quote for bee removal.